Duane Pitre, Sophie Cooper, David Birchall / Rogier Smal show. 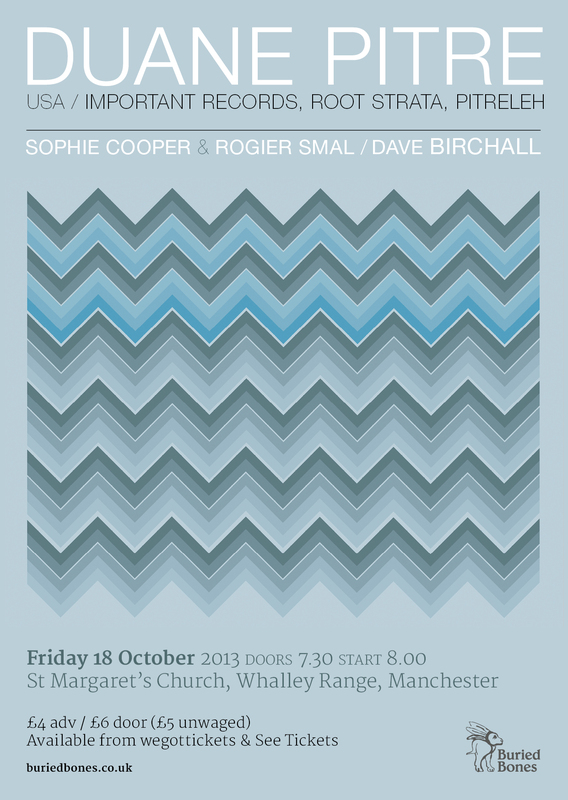 Here is a very nice poster advertising the next gig I’m playing in Manchester, it will be a solo performance this time. I will officially be in my thirties at this one as it’s the weekend after my birthday so if you do come remember to bring me a slice of cake. In Tor Bookings news we have a couple of shows coming up in Todmorden in October. I will post a bit more about them when the posters are ready, they will be most excellent.